Hey dudes and dudettes, I have a rocker 30 and an ad30, recently retubed them both. 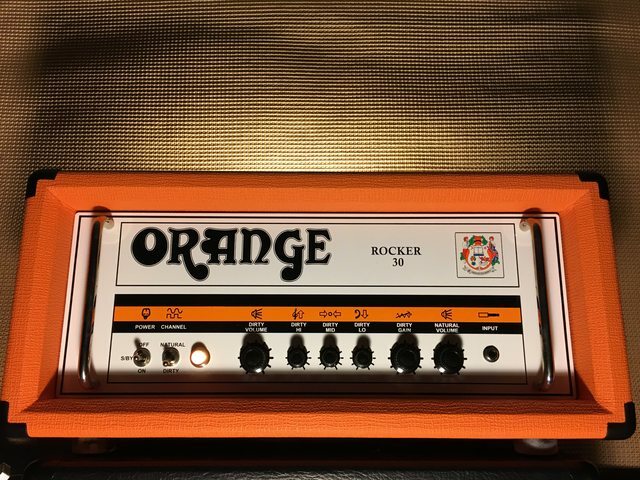 The rocker is my main amp. The ad hasn't been working for a couple years until I retubed it recently. I haven't really used it since it was retubed but it seemed to be working perfectly fine, ready for when I needed it. I had some weird problems with my rocker today which was basically the amps volume either dipping ever so slightly or from going from its normal bright sound to very muddy. I then switched to the ad 30 to find that only one channel was working correctly which is very odd seeing as it hasnt been used in about at least a month and it was working fine then. I then reverted back to the rocker 30 without my pedals plugged in and it seemed to be functioning fine. Anyone have any ideas what could be the problem with either amp? Seems very odd to me seeing as they have both been retubed recently and until now had been working fine =/ HEEEELP! First, on tve Rocker I’d rule out the pedal board seeing you said it was fine without the pedal board. Kind of sounds like a bad cable. On the AD, try switching V1 and V2 preamp tubes around to see if the other channel is affected by the tube that was in the channel that wasn’t working. In the AD30, each channel has it's own phase inverter too - so it would make sense to swap those too from one channel to the other. I agree with the pedal board. Clli, do you use solderless cables? I do, and have had that exact same occasional issue. I tracked it down 2 2 cables I had made that were a little too short and were too susceptible to weakest of pulls. I replaced those with double ended Jack connectors to keep the pedals super close. Yes, important detail on the PI’s!